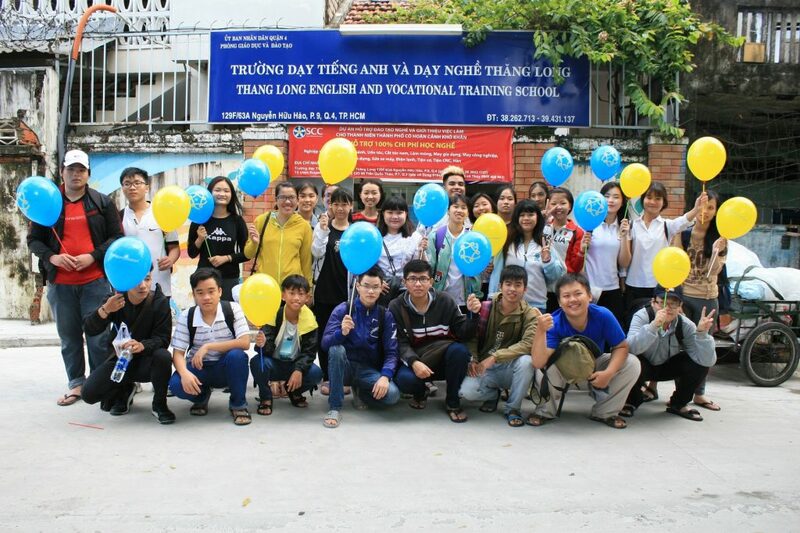 The English classes at Thang Long School were organised at the very beginning of the establishment of the school in 1994. Most of the students come to Thang Long School are still at school age. They want to be able to communicate in English which they cannot get at their mainstream school. Every year, about 400 students receive support with English communication skills. Various courses are organised based on up to date curricula such as “More” and “New Inside Out” to meet with the suitable levels of the students, which are defined through entry placement testing. The levels include Beginner, Elementary, Pre-intermediate, Intermediate and Upper Intermediate. After finishing the highest level, students are encouraged to take part in the TOEIC test. In addition to teaching communicative English, we also provide classes for students of grades 6 to 9 who are not good at English at mainstream school and have very difficult circumstances in District 4. One of the useful activities for English classes at Thang Long School is the English-speaking sessions where foreign volunteers help students to practise speaking and listening skills. These sessions make a considerable improvement in the communication skills of students.